• View topic - About ias coaching centres..
Iam currently doing my MBA 2nd year in CHENNAI, i think this is the right time for start preparing for ias examination. I want to know about the "best ias coaching centre" in chennai , which will give effective guidance for my preparation. I will be thankful if you suggest some tips for my preparation. Re: About ias coaching centres..
OF THE REST, AS I HAD NOT BEEN THERE. BUT COACHING CENTRES APART, WHAT REALLY MATTER IN YOUR SELF STUDY. Dr. C. Sylendra Babu I.P.S. 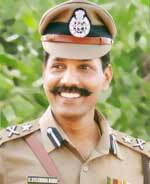 Additional Director General of Police, Tamil Nadu. Sahara Academy, is known as best Coaching Academy for UP SI & UP Police Coaching in Lucknow. we at Sahara Academy provide coaching for UP SI (Sub Inspector)written examinations for the past 10 years . We have a very accomplished faculty that is highly trained for providing an insight to student regarding Up Police (SI) written examinations 2018.